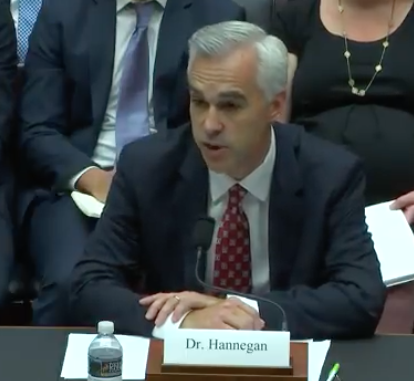 Glenwood Springs-based Holy Cross Energy CEO, Dr. Bryan Hannegan, was a valuable witness representing rural electric cooperatives at the Energy Subcommittee Powering America Hearing, held by the U.S. House Committee on Energy and Commerce on September 26. The goal of this hearing was to provide insight into the nation’s electric grid and electricity markets and how rapidly-evolving technology innovations have a role in empowering consumers by giving them greater control. During the introduction of the hearing, Chairman Rep. Fred Upton (R-MI 6th District) stated that the United States electric grid has been transforming in a way that allows consumers to become active market participants, in which they expect control, convenience and choice. The hearing and the testimony from the panel of witnesses shed light on the challenges that prevent advanced energy technologies from deploying around the country. The panel—including Dr. Hannegan— reported that although the electric industry is regulated to ensure that all Americans have access to reliable and affordable electricity, changing technologies require a grid that allows two-way flows. Several members of the panel emphasized that battery storage and microgrids provide grid resiliency and localized solutions to keep electricity reliable and affordable. 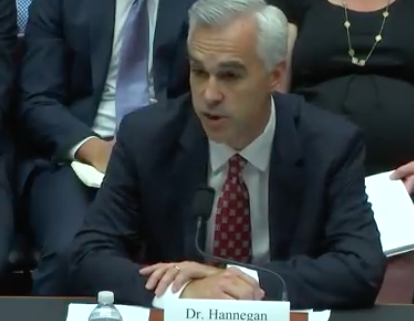 When asked a question by a subcommittee member about the advantages for microgrids in rural areas, Hannegan replied that microgrids improve reliability and service, especially during natural hazard events, such as the snowstorms Holy Cross experiences in their service territory. He pointed out that microgrids are always helpful in addition to grid supply and that local generation solutions are a better option in those situations. With “no shortage of feedback from co-op members,” Holy Cross is aware that members will ask for electricity innovations that they’ve read about or have seen on television. And since electric co-ops are “heavily embedded in the communities they serve,” the feedback the co-op receives “forces a pace of innovation on the co-op.” Hannegan was quick to point out that the challenge of co-op boards is to make sure they strike a balance of what co-op members want and what makes fiscal sense. He spoke to the fact that the architecture of the grid is changing from a hub and spoke model with passive consumers to “a dynamic decentralized and distributed grid” via digitization, metering data and software developments. He pointed out that co-ops are naturally consumer-centric being member-owned nonprofit distributors. He told the committee that even with rapidly-changing technologies, co-ops will continue to prioritize the needs of their members while developing and deploying the technologies to provide safe, affordable and reliable electricity.